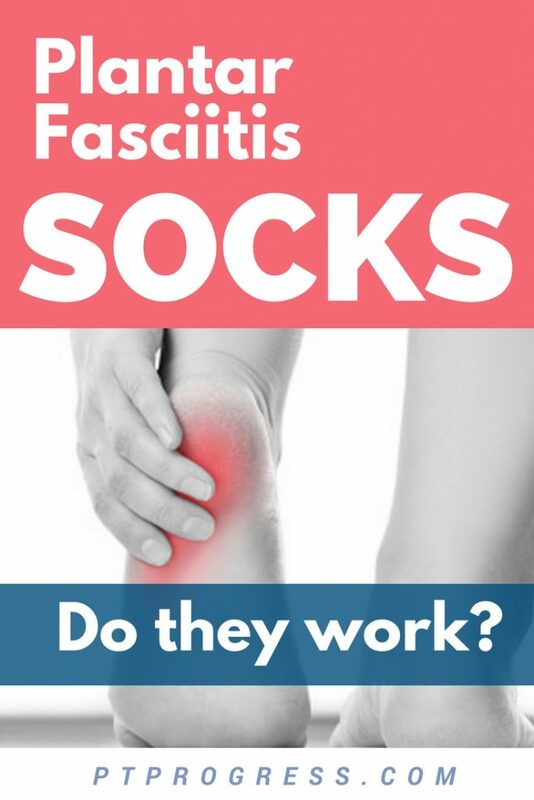 Do Plantar Fasciitis Socks Work? As a Physical Therapist, one of the most common questions I hear is this: Do plantar fasciitis socks work? The short answer: the compression from plantar fasciitis socks can be very beneficial and decrease pain in the short term. It’s absolutely fine to try plantar fasciitis socks, but the best results for treating plantar fasciitis happen when my patients start an appropriate stretching and exercise regimen. Compression stockings are often used to reduce inflammation and to decrease swelling. You may be familiar with a compression stocking that is worn along the lower leg after surgery. The idea behind using compression socks for plantar fasciitis falls under the same idea. If you provide a constant support through compression socks, the arch of your foot may feel less sore due to decreased inflammation and swelling. 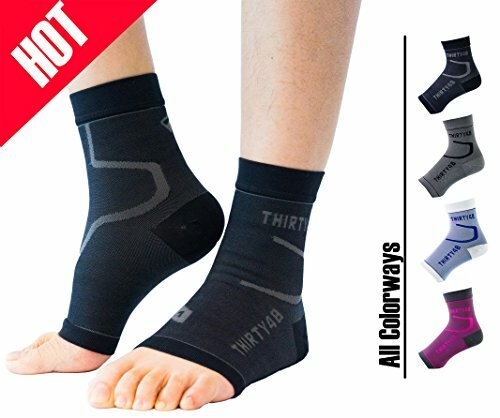 Can I wear plantar fasciitis socks with my shoe inserts? You can wear plantar fasciitis socks with shoes and custom inserts as long as it feels comfortable. If the socks are too tight or they bother your foot while wearing certain shoes, you should take that as a sign to modify your shoe/sock combination and to identify what is causing the discomfort. Plantar fasciitis socks are certainly more expensive than a regular pair of socks. But when you compare the typical $12-15 cost of compression socks with a $100 pair of plantar fasciitis shoe inserts, you might find the price to be pretty reasonable. Are plantar fasciitis socks a good alternative to shoe inserts? No, you’re not going to get the same support from a plantar fasciitis sock as you do with a shoe insert. On the same token, shoe inserts have been found to produce only a short term benefit for plantar fasciitis. Consider the use of shoe inserts and plantar fasciitis socks as the short term strategies to reduce heel pain caused by plantar fasciitis. I recommend to my patient to compare the price of plantar fasciitis socks on Amazon first. 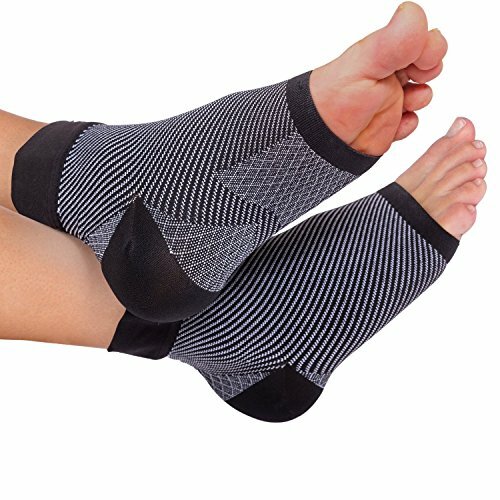 Here are a few of the highest rated plantar fasciitis socks on Amazon. 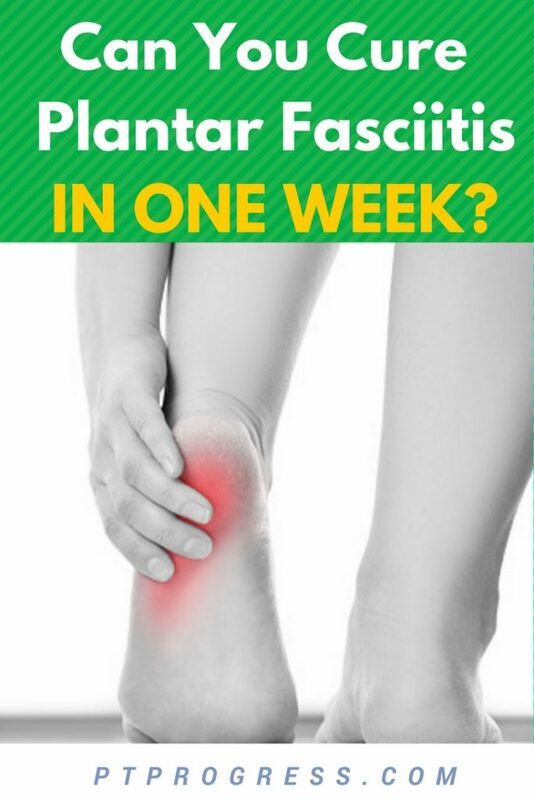 There are over 4,500 positive reviews of the Bitly plantar fasciitis sock. They provide a size chart to help you identify the best size sock to order. Be sure to read through the FAQ as there are many people with similar questions who have shared their insights on how the socks have worked for them. 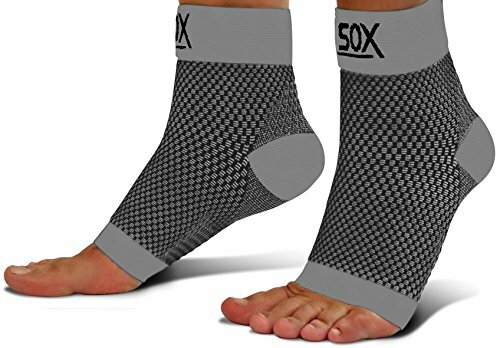 When you read through the hundreds and hundreds of positive reviews on these socks, it’s easy to see why the SB Sox are highly rated on Amazon. There are reviews from people with plantar fasciitis, chronic ankle sprains, and people who struggle with swelling after standing all day. These are worth taking a look at. Strong protection at the ankle and foot helps force balance to prevent twits and sprains caused by excessive forces. How do I get rid of plantar fasciitis for good? In my practice as a Physical Therapist, I’ve treated countless cases of plantar fasciitis. Those who find relief the fastest are open to making changes to their walking habits, exercise and stretching routine, and committing to a systemized plan to improve their overall strength and flexibility.